Plan Development — We listen to your wants and desires to incorporate them into your swimming pool plan. Working with us, you are working directly with a licensed swimming pool contractor with many years of experience. 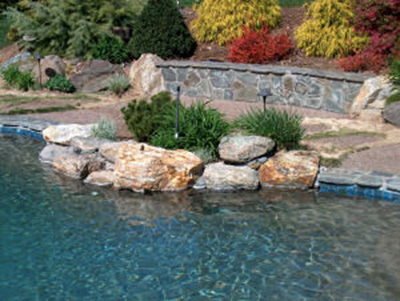 We design pools with beauty and function attuned to site requirements, codes and your budget goals. Material & Labor Discounts — You’ll pay for all building materials and labor directly to the supplier by bid with “open book” invoicing, which eliminates pool contractor markups. Many suppliers give discounts due to our volume purchasing. Contingency Savings — When a contractor prices a project they typically include an extra percentage over projected bid prices to cover cost overruns, which may become extra profit for the contractor. With U•Build•It℠ Swimming Pools, if the project goes as originally planned, this money stays in your pocket, not ours. Project Costing — Our process of collecting bids prior to construction results in accurate project costing. Our recommended suppliers provide the best mix of quality, value and reliability and you can choose the bid you wish to accept. Rather than a pool contractor choosing the low bid and keeping the difference for themselves. If you wish to choose the low bid, the difference stays in your pocket. Minimize Mistakes — People building on their own often make mistakes due to lack of experience and the overall complexity of the swimming pool building process. When you build with U•Build•It℠ Swimming Pools as your partner, mistakes are reduced and you save money.